Chantilly, VA – Century 21 New Millennium held its annual Client Appreciation Day this past Saturday where the real estate agents showed their gratitude to their clients and vendors. 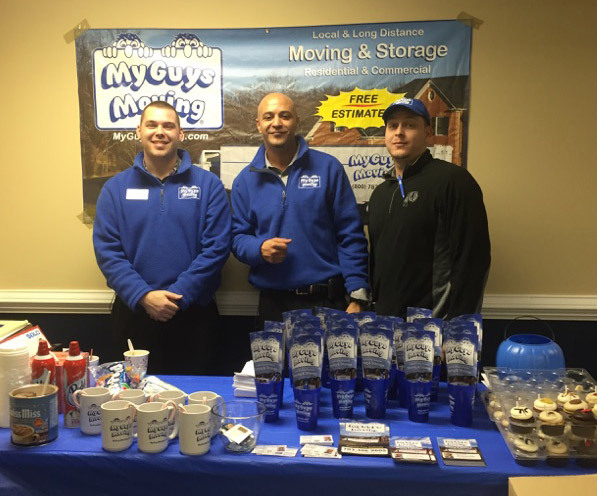 Mark Davis, Austin Jacobs & Terry Williams from the moving company, My Guys Moving & Storage, gave out Georgetown cupcakes, fresh hot chocolate, moving discount coupons, and tips on moving & packing. Additionally, My Guys provided movie tickets and gift cards to the raffle. Special thanks to Micki Lyons, Art Hoppe, Megan (office manager), and Leah Cohn from the Kingstowne, Alexandria, VA office.